Solution Provider. Technology Developer. Innovator. The world and its requirements continue to develop constantly. Our values help us every day to develop even better solutions – for today and tomorrow. We look into the future and already know today that we will master the challenges of tomorrow – together with our customers. We are your solution provider for cold forming in the automotive industry: with resource-efficient machines, components, and services. With locations in Europe, the Americas, and Asia, the Felss Group has a strong international production network. 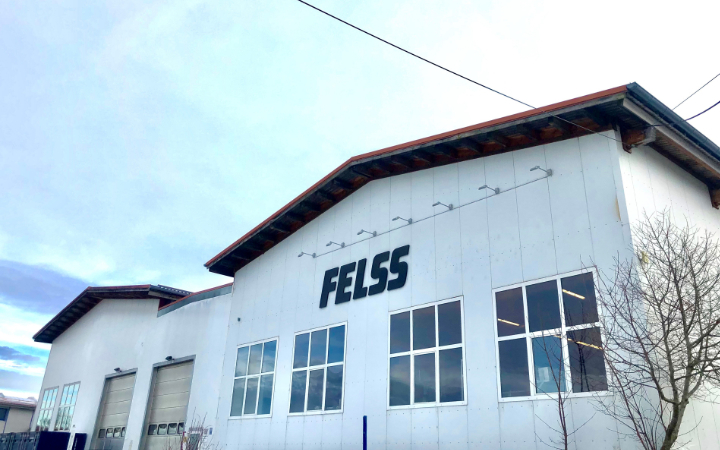 Felss can look back at more than 110 years of company history full of product developments and innovations. We are proud of the awards for our achievements and as an employer. We work with a network of competent research partners and specialists who help us to provide the highest performance worldwide. Our requirements for occupational safety and environmental protection, as well as for our processes and energy management systems, are regularly tested and certified. The Felss company group is your partner for cold forming. Our core technologies are rotary swaging, axial forming, Tube+, bending, and end forming. We are always improving on these processes and developing innovative products. Thanks to many years of experience, we have introduced a large variety of applications that are oriented toward customer needs. As experts in cold forming, we develop optimal solutions and processes – be it the realization of highly flexible machines for series production, reliable service, or the production of components of the highest quality. With our worldwide locations and many cooperative ventures, we are the ideal partner for global platform strategies. Our 800-plus employees are already working today on the solutions for tomorrow. 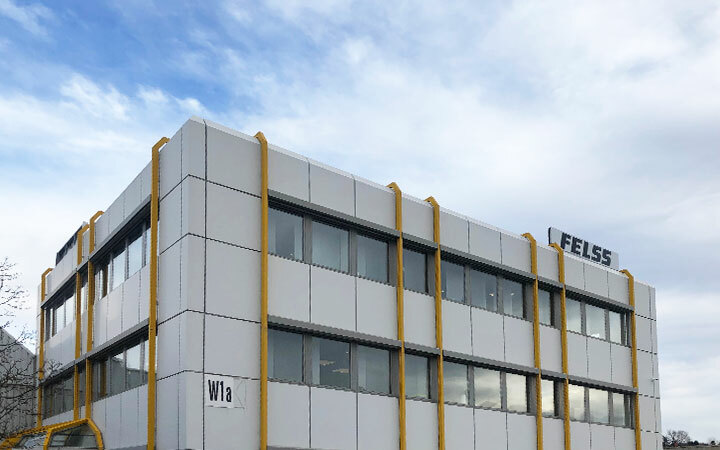 Felss Group GmbH assumes responsibility for the strategic control of the various companies within the Felss Group and coordinates their international operations from the head office in Königsbach-Stein. Founded in 1905 by Julius and Otto Felss as a company for the manufacture of special machinery, the Felss company group has since grown continuously. In the meantime, the Felss Group has seven locations and more than 800 employees worldwide. 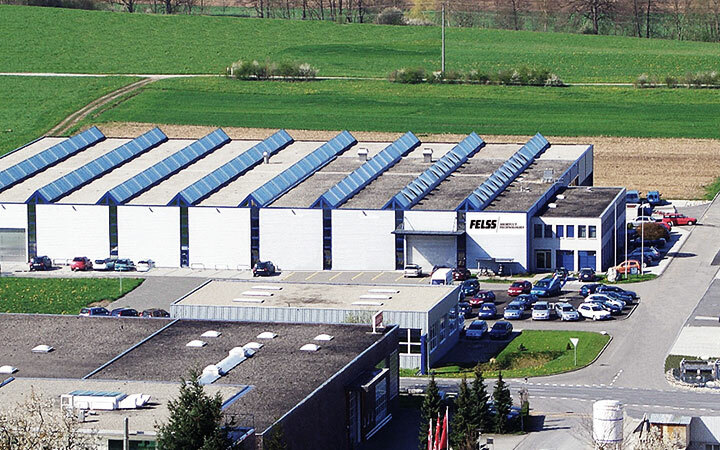 Felss Systems GmbH had already settled in KönigsbachStein as the mechanical engineer division of the Felss Group and has its head office here. The work focus of Felss Systems GmbH is on the manufacture of machines, the development of technologies and processes, and innovation in cold forming. Service is also situated at this location. 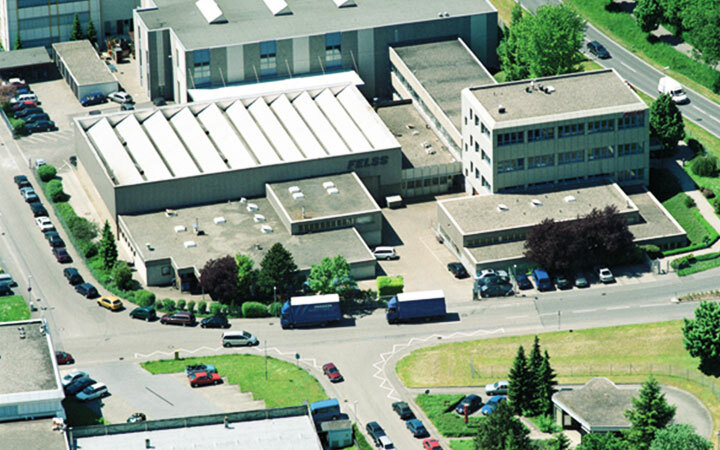 The mechanical engineering location in Nesselwang has been part of the Felss Group since 2005 and a fixed part of Felss Systems GmbH since the fusion in 2013. The two high-performance partners have since united mechanical engineering under one roof. The Nesselwang location is also home to the software development area and is one of the driving forces in the connection to Industry 4.0. 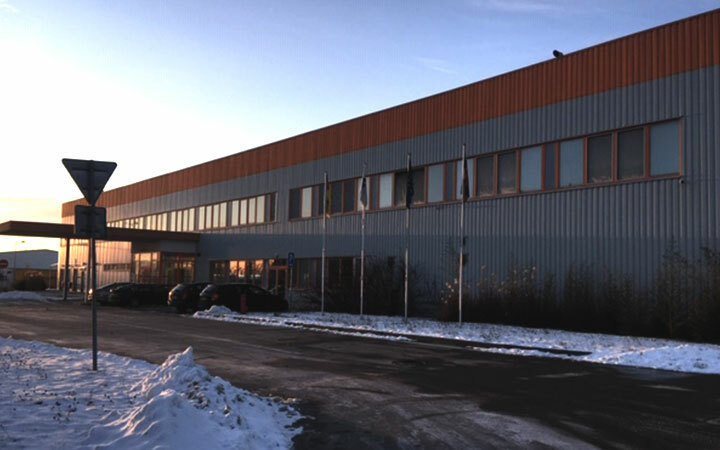 Rotaform GmbH was founded in 1988 as a specialist for component manufacturing due to the constantly increasing demand for rotary swaging parts in job order production. First settling in Königsbach-Stein, the company branch grew steadily, which is why a new works was built in Bretten-Gölshausen in 1998. 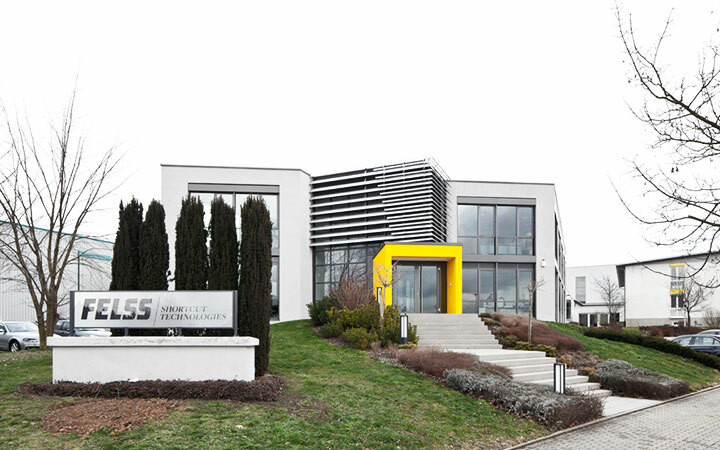 The Felss Rotaform location in Bretten-Gölshausen specializes in the production of lightweight design components. The range of services extends from the realization of prototypes to large series of ready-for-installation components. The first location outside of Germany was opened in 1986 in Switzerland. The founding of Felss Rotaform AG in Switzerland marks the birth of the Felss Group. Rotary swaging parts are offered for the first time throughout Europe in job order production. Since then, the location has been enabling component manufacturing at the highest level thanks to expertise in our core technologies and our own tool engineering. With Rotaform LLC, founded in 1999 in Wisconsin (USA), the company group opened the first international location outside of Europe. Since its founding at the end of the 1990s, Rotaform LLC has developed in the USA to become one of the leading component manufacturers using cold forming. Another important milestone of internationalization was laid in 2007 with the opening of our Rotaform location in Suzhou (China). The founding of Felss Rotaform LTD in China thus opened up new possibilities in the constantly growing Asian market. With the spectrum of services offered, consisting of Felss technologies and other inhouse technologies, Felss Rotaform LTD produces components from prototypes to large series. The Felss Group also continues to grow steadily in the core European market. In 2017, we opened our Felss Rotaform S.R.O. location in Slovakia. The works in Ilava serve the component manufacturing segment. The brothers Julius and Otto Felss found the Gebr. Felss company for special machinery for metal working in Pforzheim. Production of the first rotary swaging and reduction machines commences. Klaus Kienhöfer takes over the Gebr. Felss company and starts directing the company’s operations. Felss builds the world’s first automatic rotary swaging transfer system. The sustained expansion of the company requires a new factory building and the move to Königsbach-Stein. The founding of Felss Rotaform AG in Switzerland marks the birth of the Felss Group. Rotary swaging parts are offered for the first time throughout Europe in job order production. Felss Rotaform GmbH was founded as a new member of the Felss Group in Königsbach-Stein. The first fully automatic multilevel press transfer system for expanding and narrowing tubes is delivered. The new axial forming product line is thus inaugurated. The constantly increasing demand for rotary swaging parts from job order production enables the new factory building and the move from Königsbach-Stein to Bretten-Gölshausen. 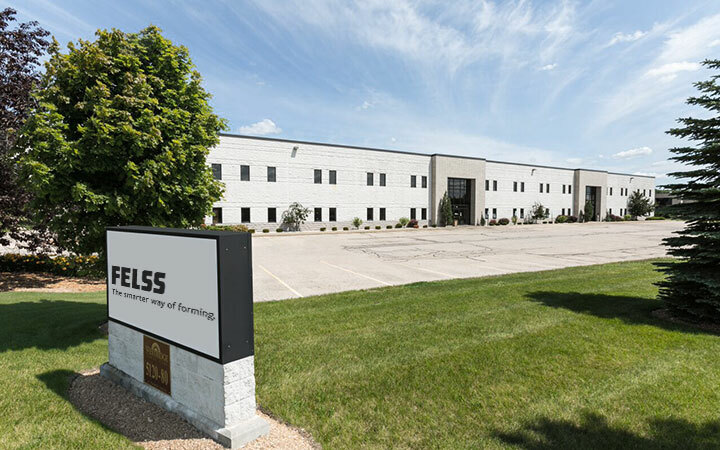 Felss Rotaform LLC is founded in Wisconsin (USA) and enriches the Felss Group as the first international member outside of Europe. The Felss Burger GmbH in Nesselwang is a new member of the Felss Group. Felss Burger develops and builds machines, as well as automated, highly flexible production systems. The internationalization of the Felss Group continues. 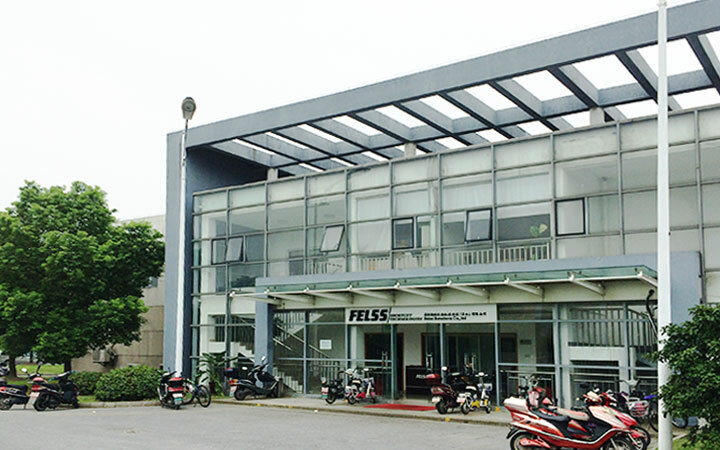 The Felss Rotaform Precision Components (Suzhou) Co. Ltd. is founded in Wujiang (China). The first fully automatic rotary swaging system without hydraulics is introduced: The Generation E symbolizes the constant further development of Felss products and marks the beginning of a new system philosophy. The internationalization of the Felss Group continues. Felss Rotaform S.R.O. is founded in Ilava (Slovakia). That same year, the Swiss holding company CAPVIS acquires the majority of the Felss Group. Exclusive awards, special honors, and recognized industry prizes distinguish the achievements of the company group and of the entire Felss team. We are especially proud of the recognition of our innovation projects and of ourselves as an extraordinary employer. You can find some of these honors here. We develop innovative and efficient solutions for cold forming. In doing so, we are dedicated not only to our ambition of the highest quality but also to sustainable activity for energy, the environment, and health. These certifications are confirmation of our achievements and recognition of the fulfillment of international norms and standards in practice. You can download the certificates here. We would be happy to advise you personally about our solutions and are available to answer any inquiries concerning the Felss Group.